Wasson’s Bluff, one of the Canadas landmarks located on the north shore of the Minas Basin about 6 km east of Parrsboro, Nova Scotia, Canada. Series of imposing cliff faces at Wasson’s Bluff offer a breath taking view of the beautiful landscape, but cliffs are also world renown for their famous fossils and great mineral specimens. 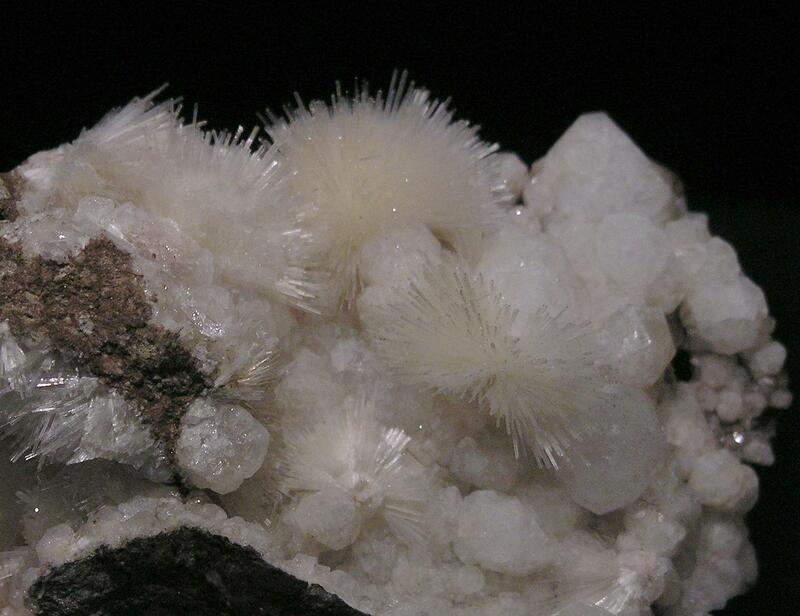 Natrolite is a tectosilicate belonging to the zeolite group. It is a hydrated sodium and aluminium silicate with the formula Na₂Al₂Si₃O₁₀ · 2H₂O. The type locality is Hohentwiel, Hegau, Germany. 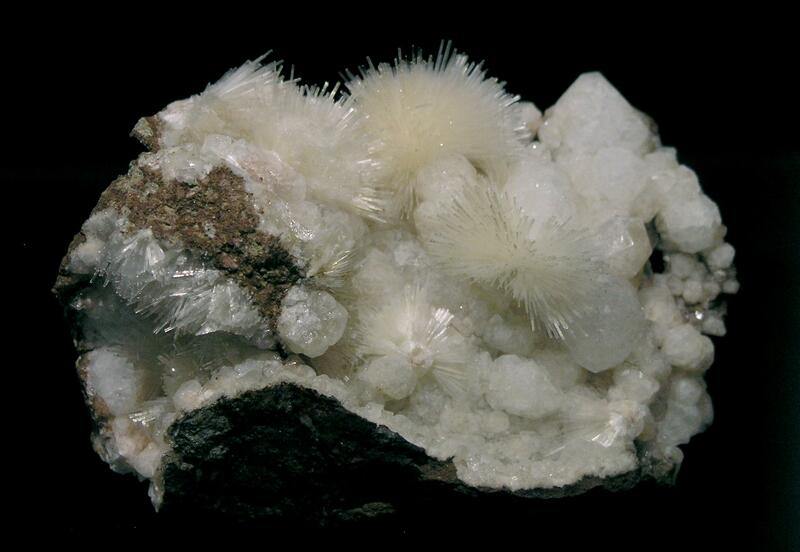 Natrolite from Wasson’s Bluff comes in white, pale rust and rarely colorless. long prisms of up to 3 centimeters in size have been found. Here I show one of the few newly collected specimens of Natrolite with Analcime. It is 80 x 55 x 40 mm thin plate with sparkling undamaged ball forming prisms on Analcime.